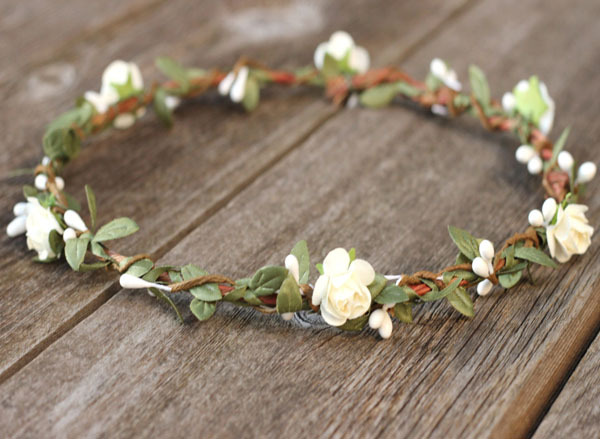 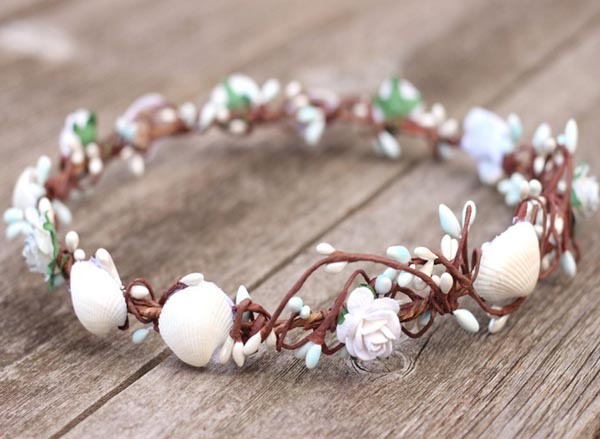 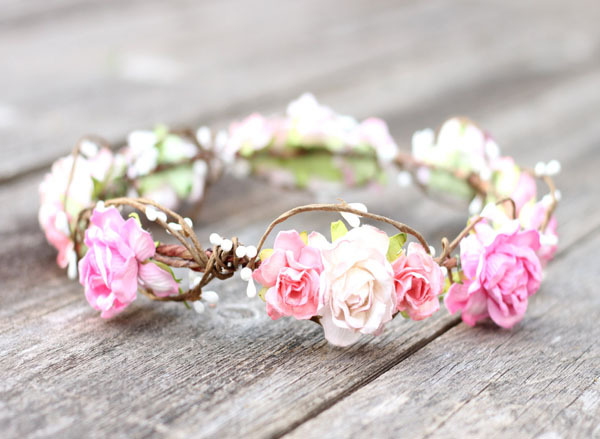 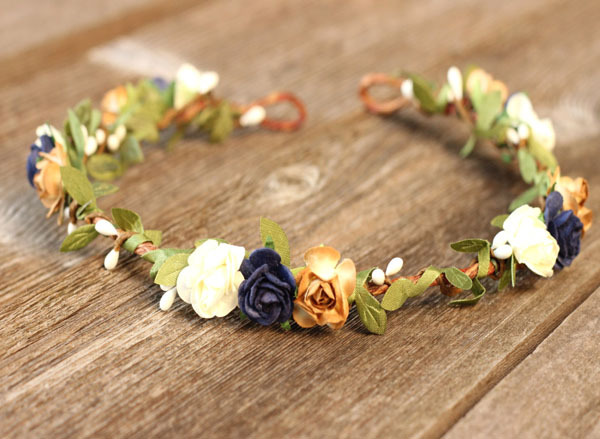 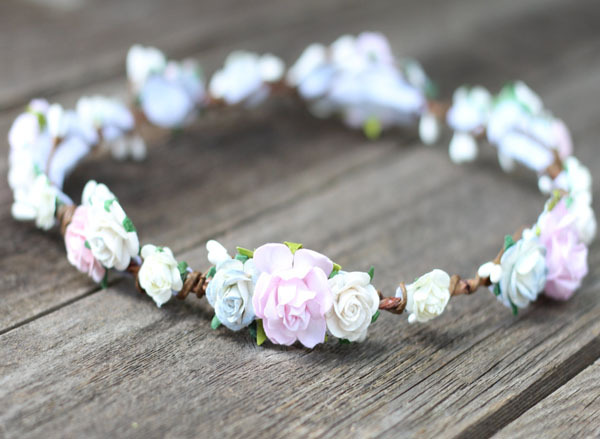 Beautiful and Simple Boho Flower Crown hair wreath, with lots of greenery leaf throughout this hair crown. 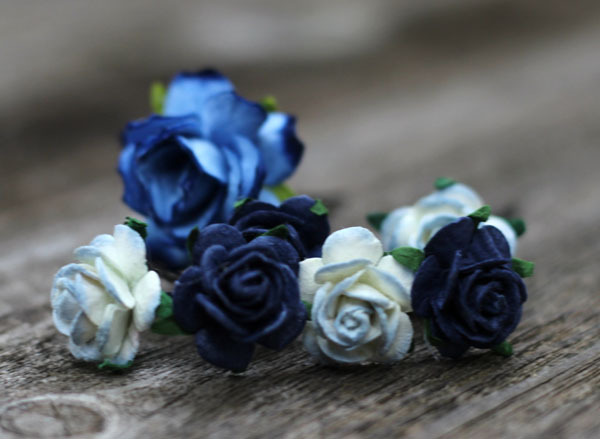 Ivory roses adorn the base along side petite berries. 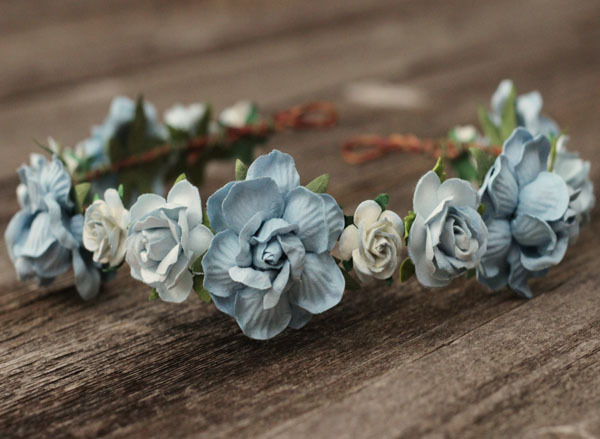 Make a statement at your special wedding occasion. 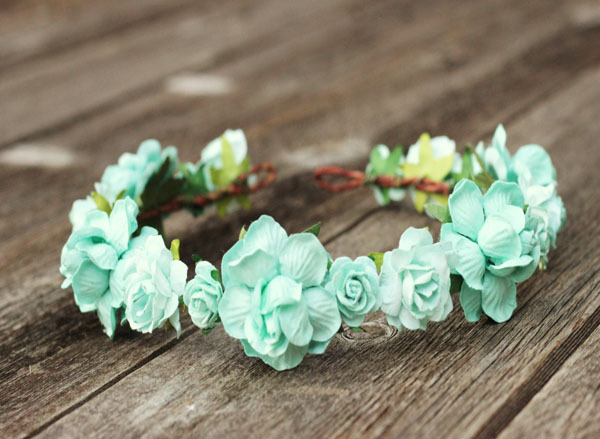 Perfect for outdoor weddings fall or spring. 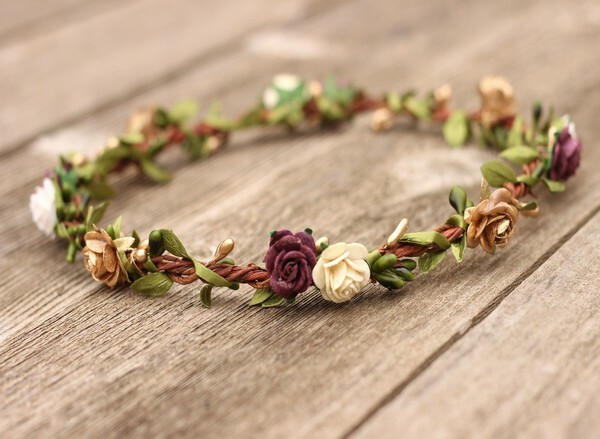 Pretty Rose gold and plum purple flower crown for the fall bride to be. 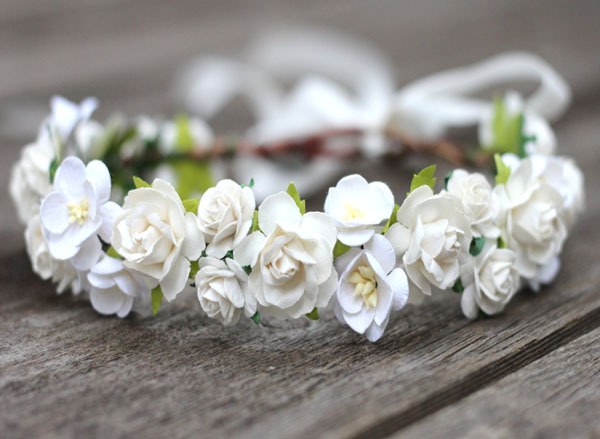 Ivory cream flowers and aubu..